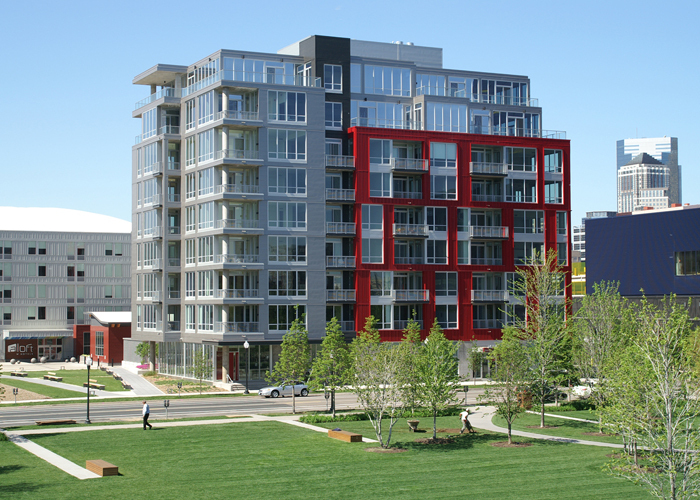 The Zenith Condominium complex is located in the Minneapolis Mill District across from Gold Medal Park and the Guthrie Theatre. The 175,000 square foot building rises nine levels above grade, with an additional two levels below grade accommodate a 175-vehicle parking garage. Zenith and its companion facility the Aloft Hotel (also an MBJ project) are situated on the same site, sharing a gallery-style lobby and outdoor courtyard. The primary structural system for the 65-unit building is cast-in-place concrete with glass and metal curtainwall. 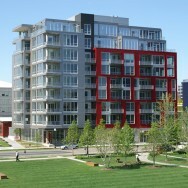 Zenith was a Finance and Commerce Top Project in 2008.